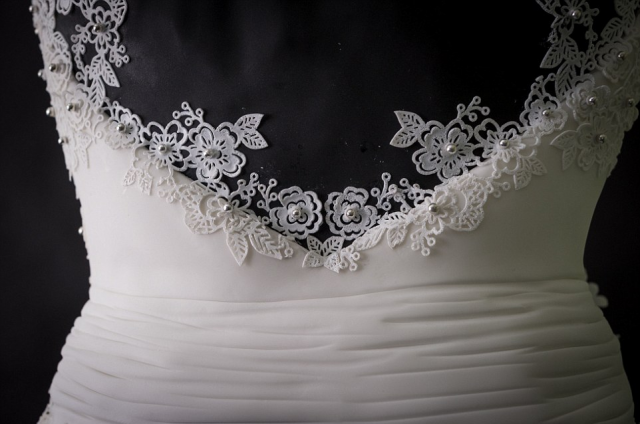 There is an amazing dress, with stunning detail and work that would make any bride feel beautiful as she walks down the aisle. 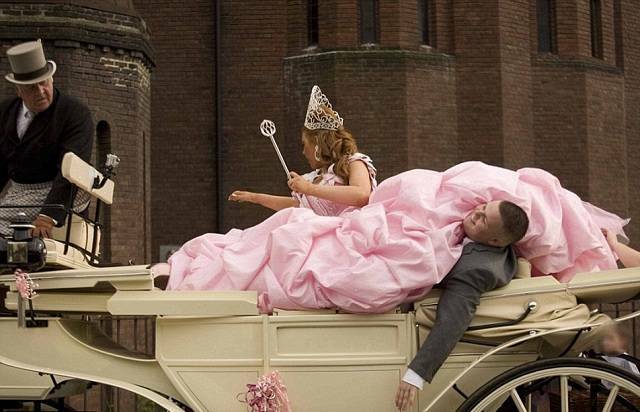 However, as lovely as the dress is, it’s not exactly wearable—unless you want to walk down the aisle in a confection that weighs about 150 pounds. The Weddible Dress stands at 170 cm tall, made by the founder of Fun N Funky Cakes, Yvette Marner, artist Ilinka Rnic, and cake sculptor Sylvia Elbar. Elbar, from Hornchurch, Essex, and the entire team spent about 300 hours working on the creation. 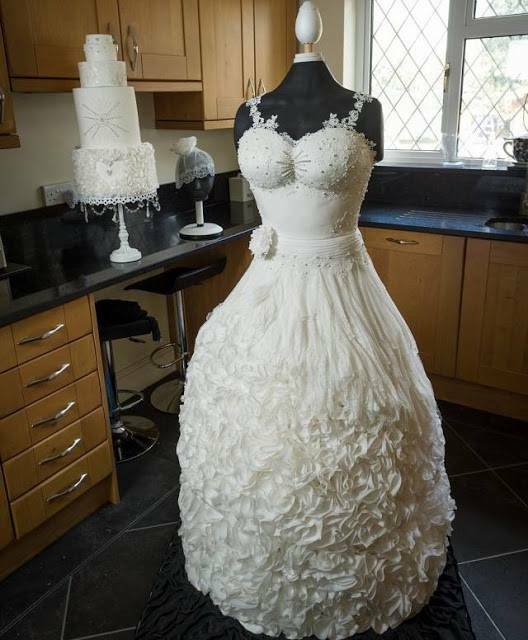 The cake was made of 35 kg of fondant, 3 kg cake lace, and about 2,000 sheets of water—all of which are glued on to the dress with 10 bottles of decorating liquid. 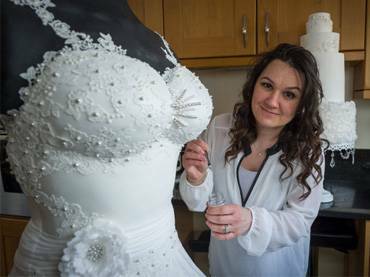 It will be showcased at the Cake International exhibition in Alexandra Palace in London for two days beginning Saturday.